A controversial UN rights expert called Monday for an international investigation of Israel’s treatment of Palestinian prisoners, decrying arbitrary detention, torture and coerced confessions among other alleged abuses. 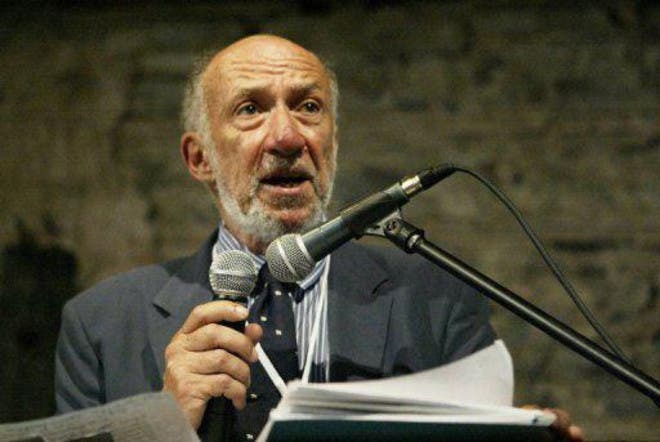 “The treatment of thousands of Palestinians detained or imprisoned by Israel continues to be extremely worrisome,” said Richard Falk, the UN’s outspoken expert on the rights situation in the Palestinian territories. Israel, he said, currently had nearly 5,000 Palestinians in custody and had detained some 750,000 Palestinians since its occupation of the territories began in 1967. In his report, he said Israeli violations were happening “on a massive scale,” including detention without charges, “torture and other forms of ill, inhumane and humiliating treatment,” and solitary confinement, including of children. “With 70 percent of the population dependent on international aid for survival and 90 percent of the water unfit for human consumption, drastic and urgent changes are urgently required if Palestinians in Gaza are to have their most basic rights protected,” he said. Israel, which cut all ties with the UN’s top rights body last year after it ordered a probe of how Israeli settlements were impacting the rights of Palestinians, was not present to respond to Falk's report Monday. The Palestinian representative however hailed the report and urged the international community to quickly implement Falk’s recommendations. The EU’s criticism followed US ambassador to the council Eileen Chamberlain Donahoe’s call for Falk's departure on Friday after he urged the rights council to investigate UN Watch, an NGO he accused of being “a pro-Israel lobbying organization” that had launched a “smear campaign” against him. The group meanwhile said it would present a resolution to the council Monday demanding Falk’s resignation. In April, Canada too asked the council for Falk’s departure after UN Watch highlighted comments he had made that could be interpreted as linking the Boston marathon bombing to Washington’s support of Israel.